In the final five years of his life, Francis Bacon was able to concentrate on his studies. He produced a remarkable amount of work, some of it revised from earlier, unpublished attempts. Bacon, usually writing in Latin, was aiming both for a pan-European reading public and for posterity—a campaign in which he was ably and loyally aided by his chaplain and editor, William Rawley, who continued to publish Bacon’s works into the 1660s, and who penned an early, hugely influential biography of Bacon. This quote is from Little Women and is spoken by perhaps literature’s most intriguing wannabe writer, Jo March. As her sisters dream of castles in the air full of material objects, Jo dreams of a long lasting legacy resulting from her writing. 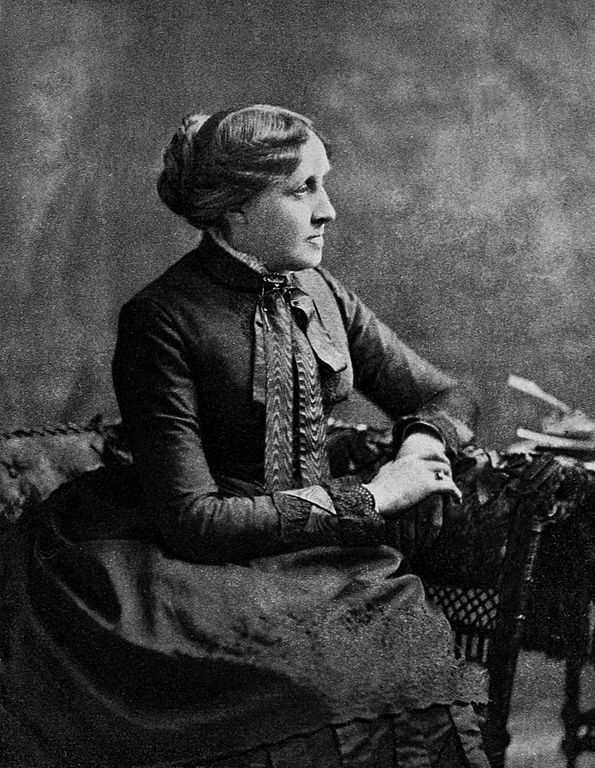 “Louisa May Alcott” uploaded by INeverCry. Public domain via Wikimedia Commons. An early example of metafiction, the quote above from Tristram Shandy brings the reader face to face with the narrator. Sterne’s first tries at writing the book in early 1759 were apparently clumsy and heavy-handed, characterized more by anger than bemusement at the disappointments of his world. The tone was satiric, often bitterly so, and the preoccupation was with human meanness more than with quirks and foibles. But the frustration of the early drafts melted into what became Sterne’s distinctive tone—an uneasy mixture of amusement, irritation, irony, exhilaration, detachment, humorous tolerance, and cold-eyed analysis of human beings. 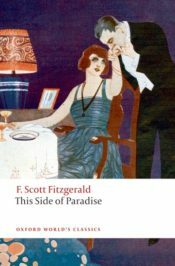 The third printing of the first edition of This Side Of Paradise was prepared for distribution to the American Booksellers Association, with a tipped-in leaf entitled “Author’s Apology” and signed by Fitzgerald. The quote above is a portion of that note. Stendhal began to write Memoirs of an Egotist on 20 June 1832. He was forty-nine and undertook to describe his years in Paris from 1821 to 1830, but sometimes misremembered the dates of events and included incidents that happened earlier. He put aside the manuscript for good on 4 July 1832. The approximately 40,000 words of Memoirs of an Egotist were therefore written in thirteen days. He was one of the greatest Roman satiric poets, author of sixteen satires. Nothing definite is known about his life, but his work survives. His sixteen verse satires present a savage attack on the vice and folly of Roman society. The earlier Satires are unsurpassed in their expression of hatred and disgust; their caustic style is often contrasted with that of the urbane and witty Horace. The historical, cultural, and physical landscapes of Andalusia had a profound influence on García Lorca’s dramatic world, but García Lorca’s work cannot be reduced to that arid milieu. Although infused by his native Granada, the richness of his writing comes as much from the traditions of earlier generations of poets like Góngora and Garcilaso, his period at Residencia de Estudiantes in the 1920s—with the two heroes of surrealism, Luis Buñuel and Salvador Dalí—his travels to New York and Cuba in 1929–30, and the pioneering work of his contemporaries like Ramón del Valle-Inclán and Manuel de Falla. Featured image credit: “close-up-focus-indoors-metal” by it’s me neosiam. CC0 via Pexels. Jackson R. Bryer is Professor Emeritus, Department of English, University of Maryland. He has published widely on F. Scott Fitzgerald, including an edition of the love letters of F. Scott and Zelda Fitzgerald (Dear Scott, Dearest Zelda, St Martin's Press/ Bloomsbury 2002), and has been President of the F. Scott Fitzgerald Society since 1990. His is the editor of the Oxford World's Classics edition of This Side of Paradise. Katelyn Phillips is a Marketing Coordinator at Oxford University Press. And Bacon maketh a fat man. “A light from the screen – a line could be seen. The only remnant of thousand milion bacteria. This is the very one litterary production in English of my own.